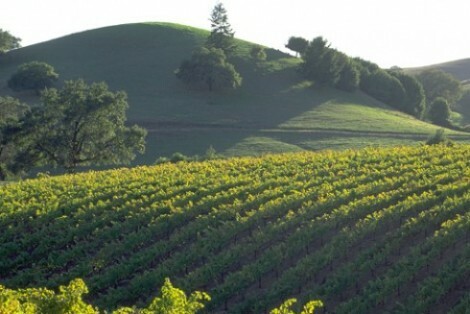 California is the largest and most important wine region in the United States. Occupying the southern two-thirds of the country’s west coast (Oregon and Washington make up the rest), it spans almost ten degrees of latitude and 850 miles (1370km) of coastline. With mountains, valleys, plains and plateaux, the state’s topography is as complex as its climate, offering winegrowers a bewildering choice of terroir. Although Californian wines rose to global renown only in the past few decades, the state’s viticultural history dates back more than 200 years. The first vines were planted here in the 18th century, as European settlers and missionaries made their way up and down the west coast, instrumental in establishing viniculture in Central and South America. The first half of the 20th century brought war, Prohibition and the Great Depression to the United States, collectively suffocating the nation’s once-burgeoning wine industry. It wasn’t until the significant social, cultural and economic developments that followed World War 2 that things began to change.The 1970s saw a proliferation of new, small-scale wineries throughout the country and the upscaling of longer-established operations and created momentum that has continued into the 21st century. Today, California hosts some of the world’s largest wine companies, but it is also home to a number of boutique wineries, some of which attract astronomical prices for their cult wines. Whether through mass production or single-vineyard artisanal winemaking, California produces 90% of American-made wine and supplies more than 60% of all wine consumed in the country, shipping a record 211.9 million cases in 2011. The principal varieties grown in California are Cabernet Sauvignon, Merlot and Chardonnay. A wide range of traditional European (Vitis vinifera) vines also flourish, grafted to hardy, phylloxera-resistant American rootstocks. Soils and climates vary substantially throughout California, according to a complex combination of altitude, latitude and proximity to the cool waters of the Pacific Ocean. 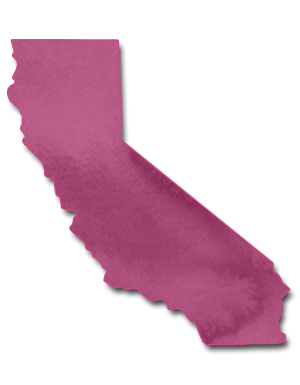 Generally, the cooler regions closer to the coast are better suited to Pinot Noir and Chardonnay, while further inland – where the climate is much hotter – some of California’s most-famous Cabernet Sauvignon wines are grown. Zinfandel produces some outstanding examples throughout this important region.